Consider the following scenario: Your 14-year-old daughter is snowboarding at Bolton Valley when she takes a nasty spill and breaks her leg in three places. Ski patrol gets her down the mountain, where an emergency medical services (EMS) crew from Richmond Rescue loads her into an ambulance for the 25- to 35-minute drive to the emergency room at Fletcher Allen in Burlington. Your daughter’s injuries aren’t life threatening, but the ride is long, bumpy and uncomfortable, leaving her in excruciating pain. Unfortunately, because Richmond Rescue is staffed by emergency medical technicians, or EMTs, they can do little more than immobilize her leg, supply oxygen, and get her to the hospital as quickly and comfortably as possible. This isn’t a criticism of Richmond Rescue. No ambulances have paramedics in EMS District 3, which encompasses nearly all of Chittenden County and serves about 160,000 residents. Paramedics have more medical training than other emergency workers and can carry out more procedures en route to the hospital. Notably, they can administer morphine, which would significantly reduce the girl’s pain. In this case, the patient’s outcome wouldn’t change either way. In time, your daughter’s broken ankle would heal and she’d make a full recovery. But what if the patient were your elderly grandfather who was experiencing chest pains and cardiac arrhythmia? In that scenario, the difference between having an EMT in the ambulance versus a paramedic, who could administer cardiac drugs to stabilize his heartbeat, could mean the difference between life and death. Of Vermont’s 13 EMS districts, only two — those that cover Chittenden, Franklin and Grand Isle counties — aren’t staffed by paramedics. In fact, only 65 percent of Vermont residents have access to paramedic-level responders. But that may change soon. For the last three years, a committee of experts from Fletcher Allen and local EMS agencies has been working on a plan to staff some ambulance units in Chittenden County with paramedics. 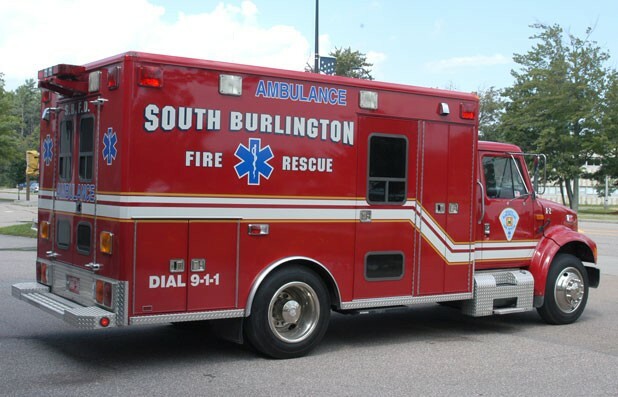 If the plan is approved, rescue squads from three communities — Colchester, Essex and South Burlington — could be operating with paramedics within 12 to 18 months. The debate has been long and contentious, according to Dr. Steve Leffler, who is director of emergency services at Fletcher Allen, the state’s only level-three trauma center that can provide comprehensive emergency medical care to patients with very complex injuries. The idea was floated, and rejected, about 10 years before he became medical director in 2006. To understand the debate, it’s important to understand how prehospital care is administered. Vermont has four levels of emergency certification: Emergency care attendants, or ECAs, are essentially trained in the fundamentals of first aid. EMT-Basics have more training. They’re certified in CPR and limited airway-management techniques. They can control bleeding, bandage wounds, splint broken bones, immobilize neck and spinal cord injuries, and provide oxygen therapy. EMT-Is are the next step up. They can start an IV, give dextrose to a diabetic in crisis, and administer epinephrine to a patient going into anaphylactic shock. EMT-Is can also help cardiac patients take nitro pills and apply an automatic external defibrillator if the patient’s heart stops beating. Paramedics are the best trained, and highest paid, EMS responders. In addition to all the previously mentioned skills, they can administer cardiac and pain meds and perform endotracheal intubations, which involves inserting a tube down a patient’s throat. Of the 2900 personnel in Vermont’s EMS workforce, only 215 are paramedics. Part of the problem, Manz explains, is that those areas where paramedics could do the most good — that is, in far-flung regions of the county where transport times to the hospital are long — also have low call volumes and are heavily dependent upon volunteers to staff their ambulances. The challenge, Manz explains, is ensuring that paramedics in those areas could maintain proficiency in those skills, especially with invasive procedures that aren’t used often. In contrast, in Burlington, where call volumes are high, transport times to the hospital are very short. As a result, whatever advantage is gained by intubating a patient in downtown Burlington would be offset by the benefit of getting the patient to the ER as quickly as possible. Despite his stated reservations, though, Leffler is open to the idea. He believes paramedics would add value to the system — notably, prehospital pain management, as well as advanced cardiac life-support care. But those services come at a price, he notes — most likely to municipalities, which would need to pay those responders higher salaries. Earlier this week, Sen. Bernie Sanders announced the release of a $100,000 grant to recruit, train and retain volunteer firefighters and EMS personnel throughout Vermont. A recent report revealed that two-thirds of the nation’s fire departments are understaffed, and the situation is particularly bad in rural communities. But such a grant will likely do little to fill the ranks of paramedics. Due to the level of training and continuing education necessary to become one, few work as volunteers. Craig Butkus, executive director of Essex Rescue, thinks he has a solution. As chair of the District 3 paramedic committee, he says that the group recently applied for a $630,000 federal grant to jumpstart Chittenden County’s paramedic program. If approved, the grant would cover the cost of upgrading EMS equipment, additional training, liability and other expenses, perhaps including the cost of launching Vermont’s first-ever paramedic training program. The only caveat: It would require $125,000 in matching funds. Under the proposal, paramedics based in Essex, Colchester and South Burlington would respond to calls outside their own municipalities in a hospital-coordinated effort. Depending upon the nature of the call, this could involve ambulances doing “intercepts,” or meeting en route to get a paramedic aboard. This, says Butkus, would ensure that every patient in Chittenden County has access to the same level of prehospital care. Butkus, who’s been involved in emergency services for 17 years, says he’s excited that the plan is finally taking shape, after so many years in the making.